RNC report: Why Republicans lost in 2012. Republican National Committee Chairman Reince Priebus speaks at the National Press Club March 18, 2013 in Washington, DC. 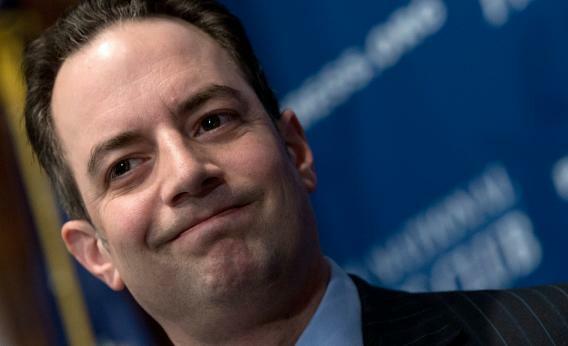 During his remarks on a recent ‘autopsy’ held by the RNC on its shortcomings in the 2012 presidential campaign, Priebus announced a series of recommendations including fewer presidential debates, an earlier national convention, and community outreach programs in addition to other new initiatives. Below, you can read the entire report from the action squad assigned to figure out why the GOP blew it in 2012. Among the recommendations: Cut the number of debates in half, hire more minority outreach directors, make sure the “guiding principle of legislative change should be to work toward fully restoring the free speech rights”—i.e., unwinding campaign finance reforms, something that would allow larger donations to parties. Hispanic Americans perceive that a GOP nominee or candidate does not want them in the United States (i.e. self-deportation), they will not pay attention to our next sentence. It does not matter what we say about education, jobs or the economy; if Hispanics think we do not want them here, they will close their ears to our policies. Republicans should develop a more aggressive response to Democrat rhetoric regarding a so-called “war on women.” In 2012, the Republican response to this attack was muddled, and too often the attack went undefended altogether. We need to actively combat this, better prepare our surrogates, and not stand idly by while the Democrats pigeonhole us using false attacks. In the latter case, though, didn’t Republicans think they were effectively rebutting and debunking the “war” stuff at the time?